This could help us understand the solar system better. Astronomers might have discovered a new planet which is orbiting the star which is closest to our Sun. Possibly two planets could be orbiting a small red dwarf known as the Proxima Centauri which is located around 4.24 light years away. 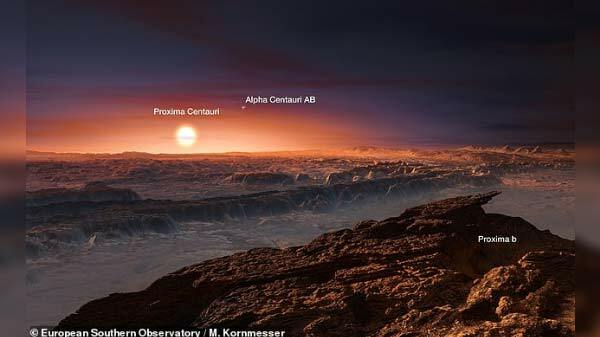 The image shows a view of the surface of the planet Proxima b orbiting the red dwarf star Proxima Centauri, the closest star to our solar system. 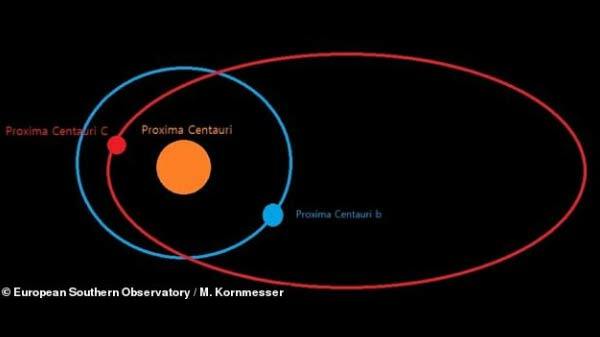 However, it is now believed that a second planet, Proxima c is also in orbit around the Proxima Centauri. If the theory turns out to be true, the planet would be around at least six times bigger than our Earth - retaining the title of a super-Earth. It would take around 1,900 days to complete one orbit around its star. Also, the temperature would be too cold for liquid water to flow. Three years ago scientists were able to discover the first known planet orbiting Proxima Centauri. Proxima-b is located on 4.24 light years away and looks similar to our planet. But it is bombarded with 250 times more X-ray radiation than the Earth, and the UV radiation levels are beyond what we can handle.